It was International Volunteers Day across the world yesterday and we wanted to highlight some of the incredible volunteering opportunities we offer. 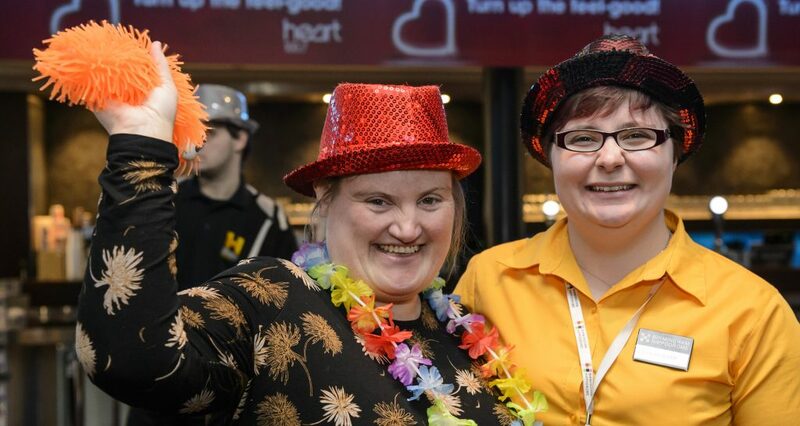 Whether you need experience, want to make new friends or get involved in the arts, we offer a variety of volunteer positions here at Birmingham Hippodrome. Katie Fraser is a regular volunteer at our Relaxed Performances, here is what she had to say about volunteering with Birmingham Hippodrome. With our volunteering opportunities, we offer a full induction, support, training and learning & development within every role. Opportunities can include working in our auditorium or at one of our outdoor events organised by our Hippodrome Projects team. In return, all volunteers are provided with a uniform, training and a written reference. Find out more about becoming a volunteer on our website.